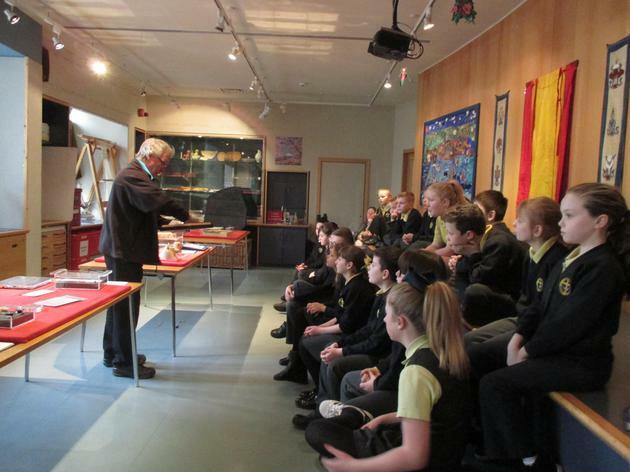 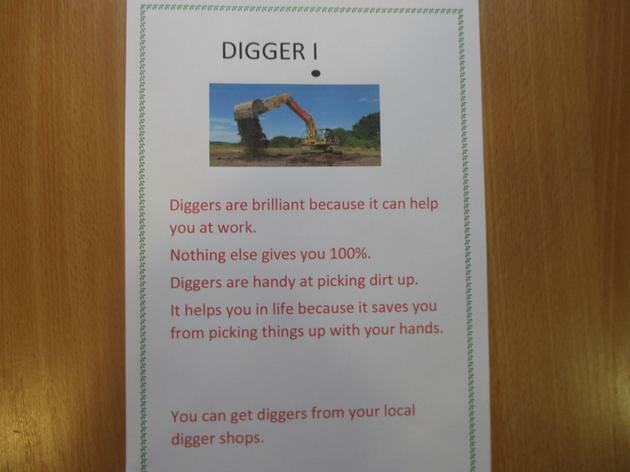 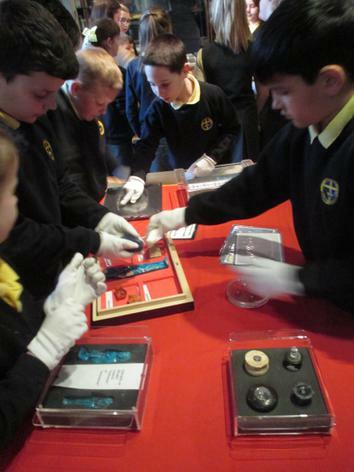 On Tuesday 6th March, Year 5 visited the Liverpool World Museum. 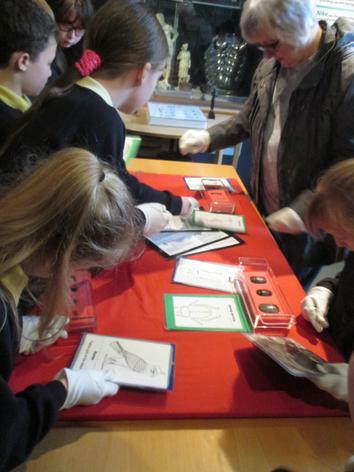 We did a workshop and learned about how archaeologists found out about ancient Egypt from artefacts. 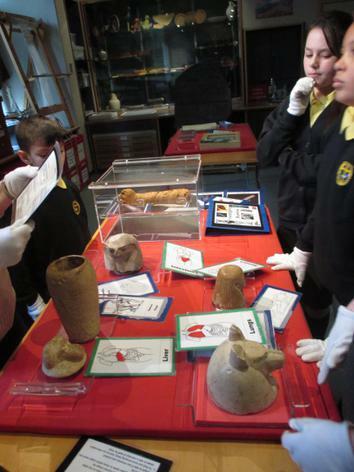 We got to pick up real canopic jars and amulets. 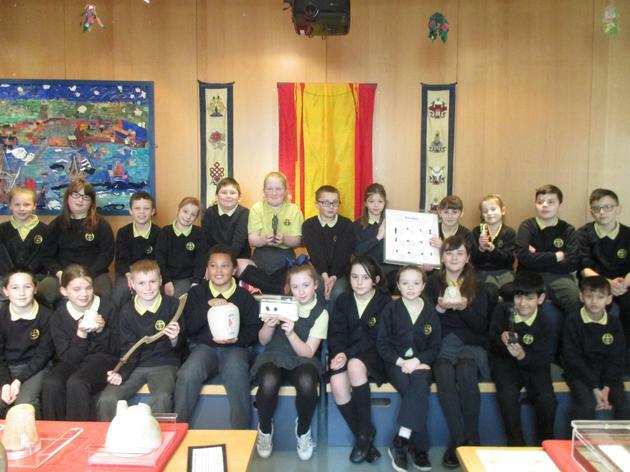 Owen said, ”The workshop was fun and it was exciting to learn about ancient Egypt.” Then we looked at the ancient Egypt exhibition. 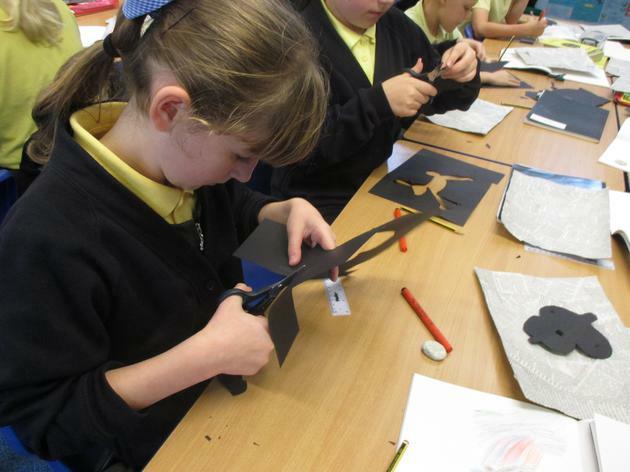 Emily said, “It was very interesting to see how the mummies were wrapped and the methods they used.” After lunch, we went to the planetarium and learned about how scientists use telescopes to see into space. 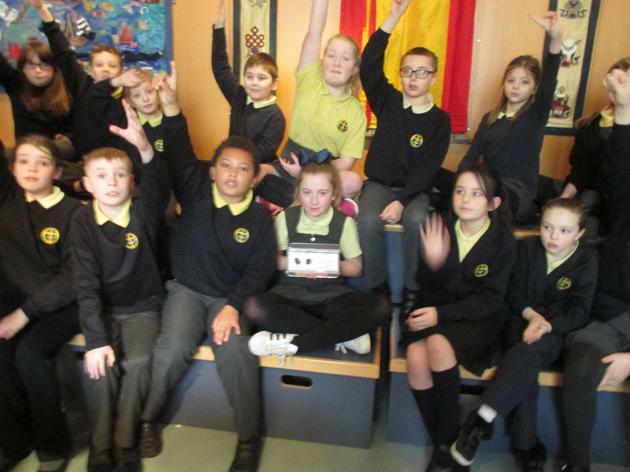 Christy said, “It helped us to see things better because it was all in 3D.” Mrs Watkins was very pleased because Year 5 were a credit to our school the whole day. 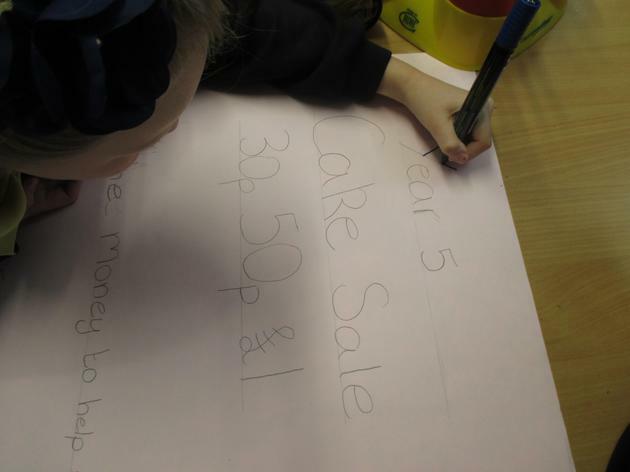 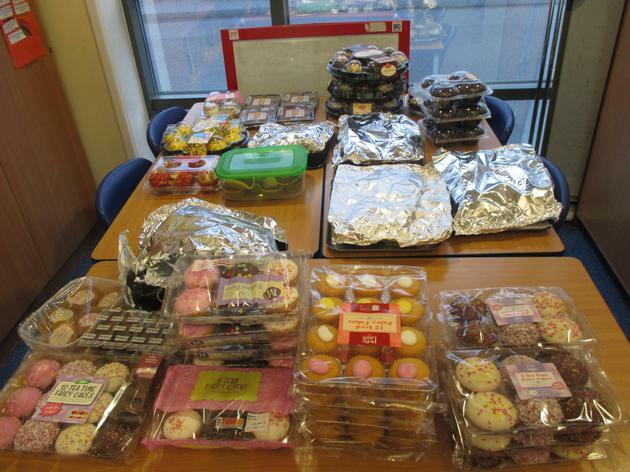 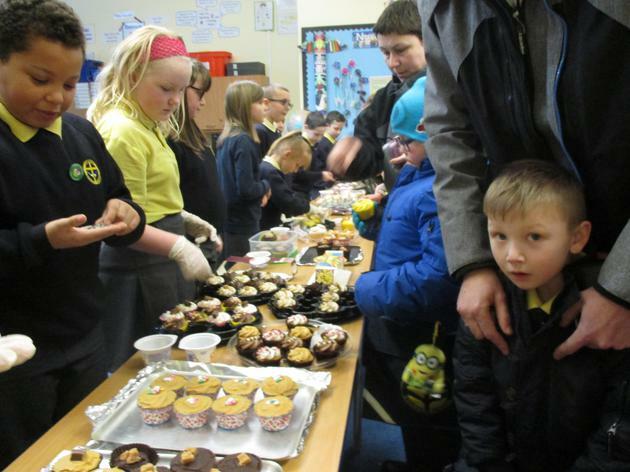 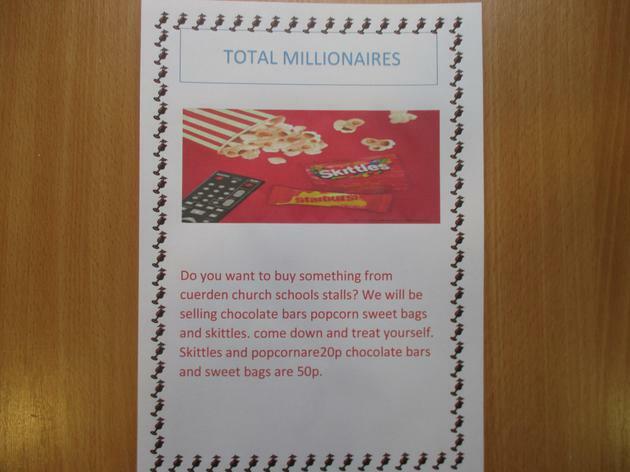 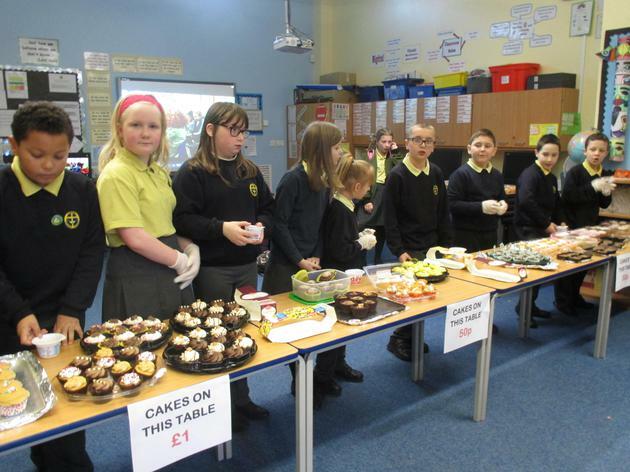 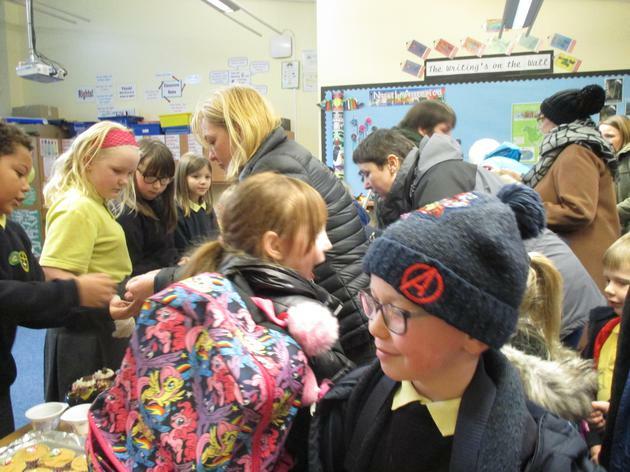 On 18th January, Year 5 held a cake sale. 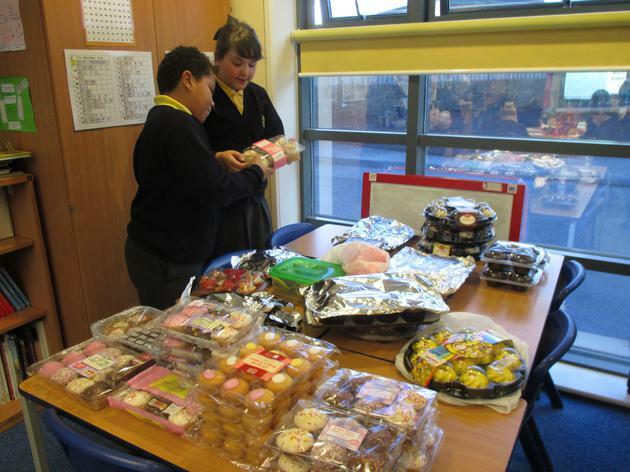 There was a lot of busy preparation and many kind people donated cakes. 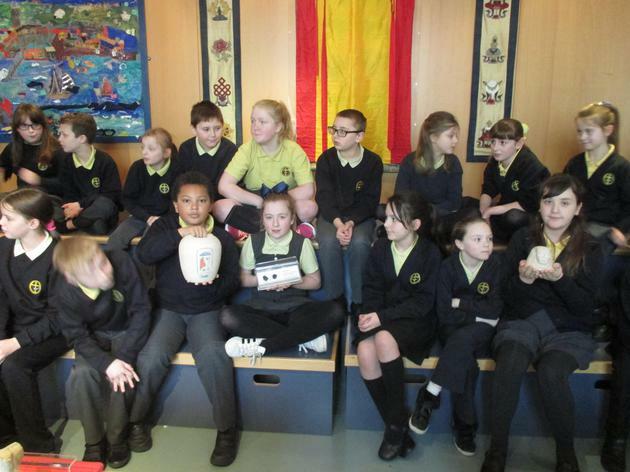 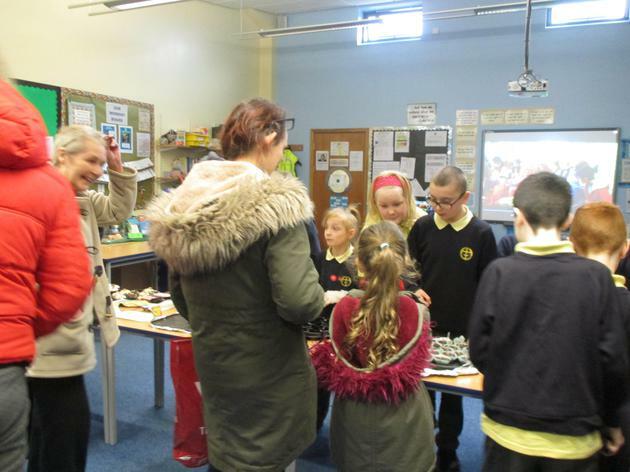 We raised a lot of money which we used to pay for our trip to Liverpool World Museum. 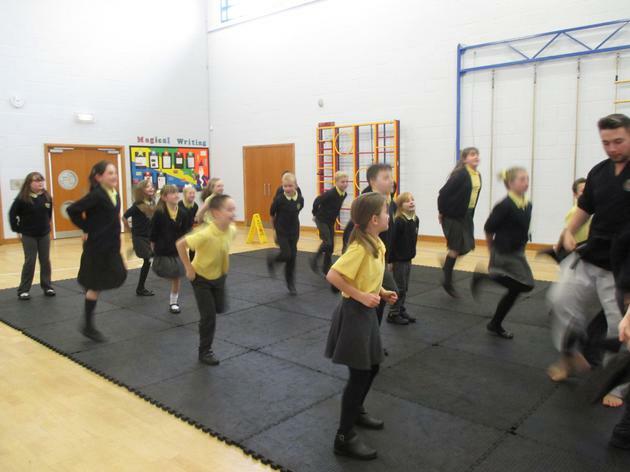 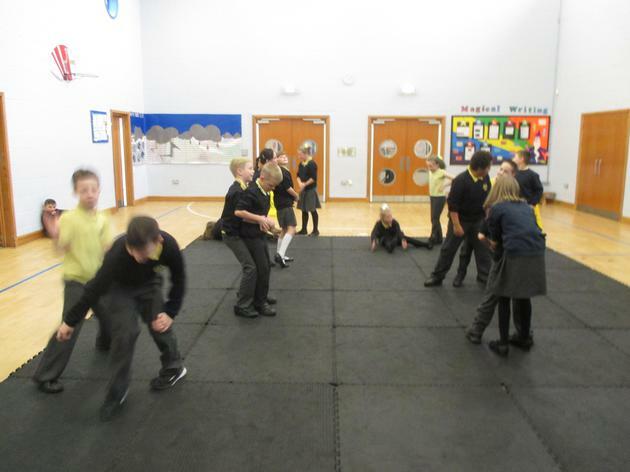 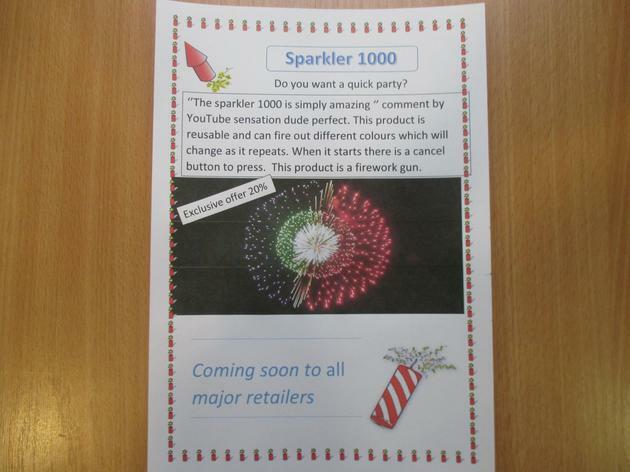 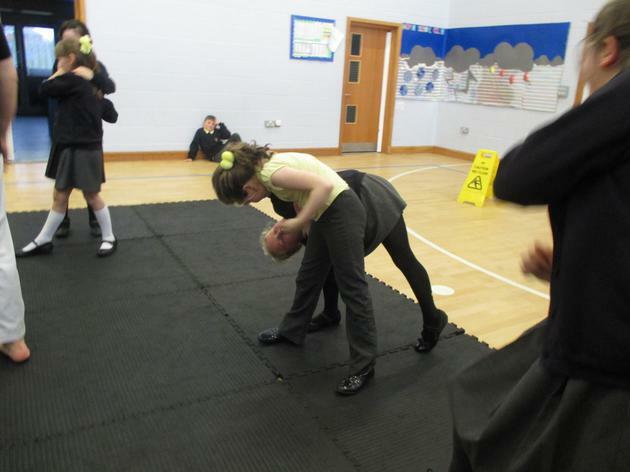 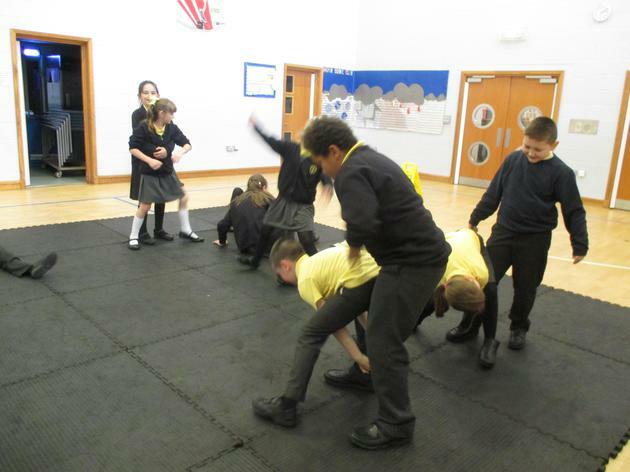 On Thursday 7th December, Year 5 took part in the Christmas Cracker event. 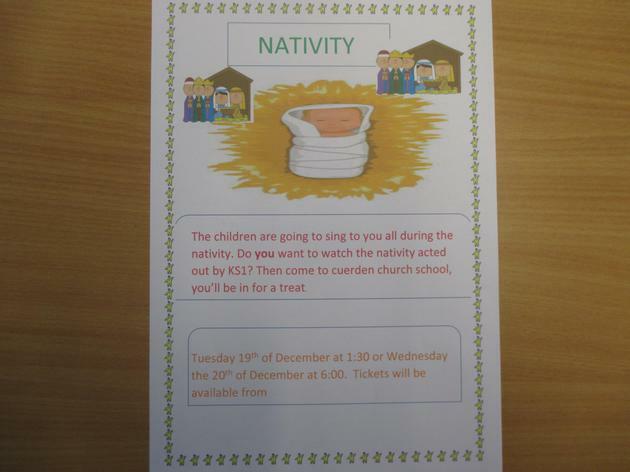 Each class and the choir sang songs for the parents. 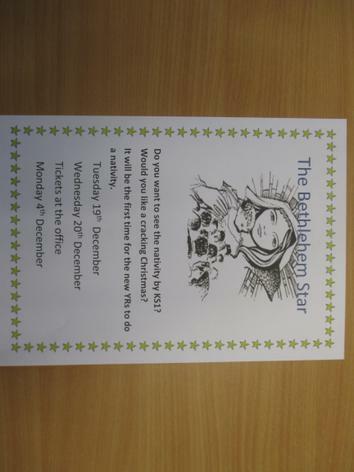 Year 5 sang the song from our class worship just a few days earlier. 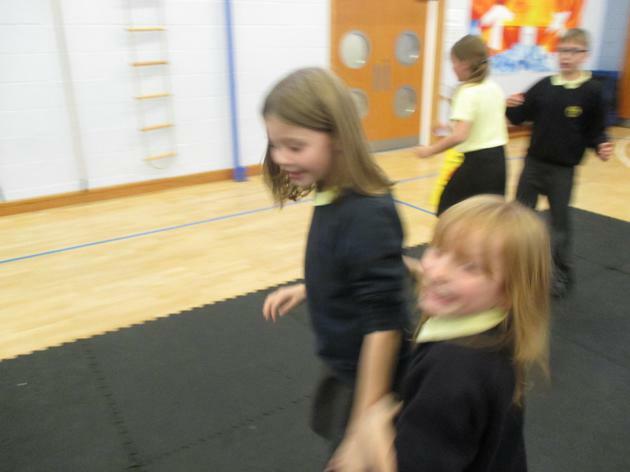 This picture is from the following day when the children performed their songs for the school. 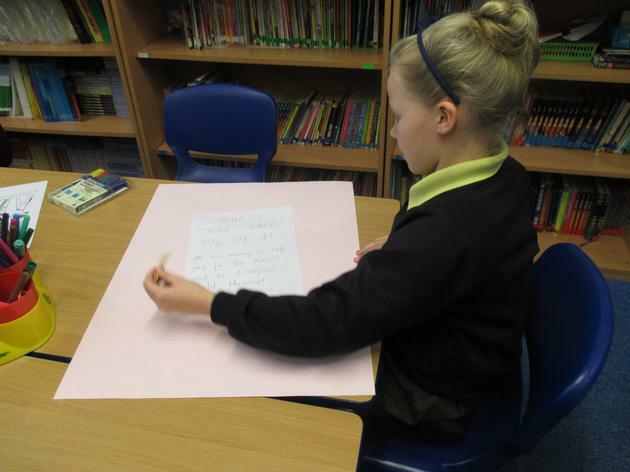 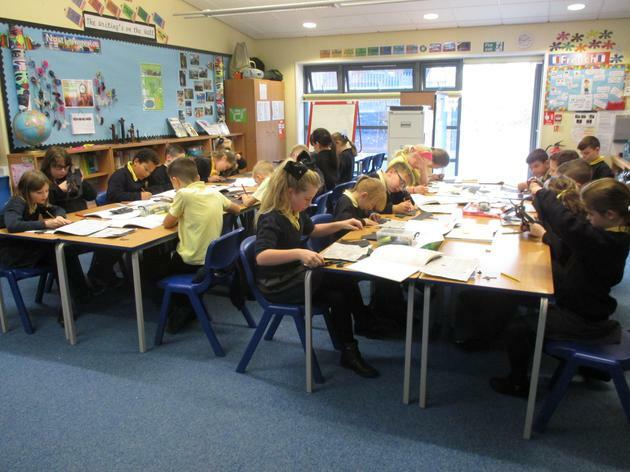 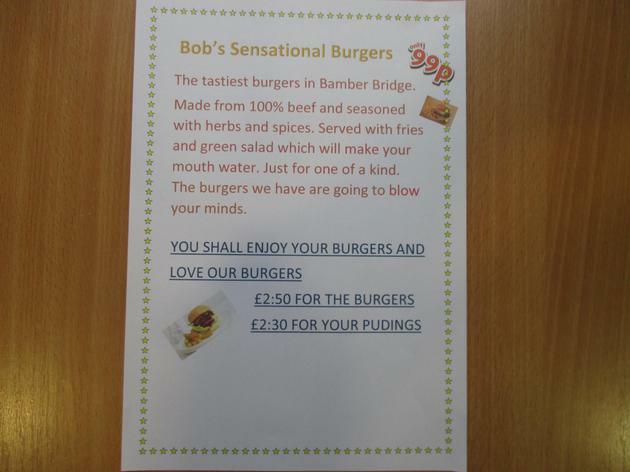 In Newspapers Special Interest Week, Year 5 looked at newspaper advertising. 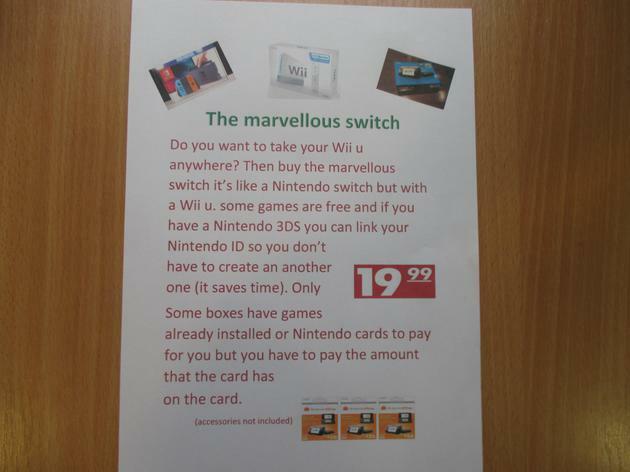 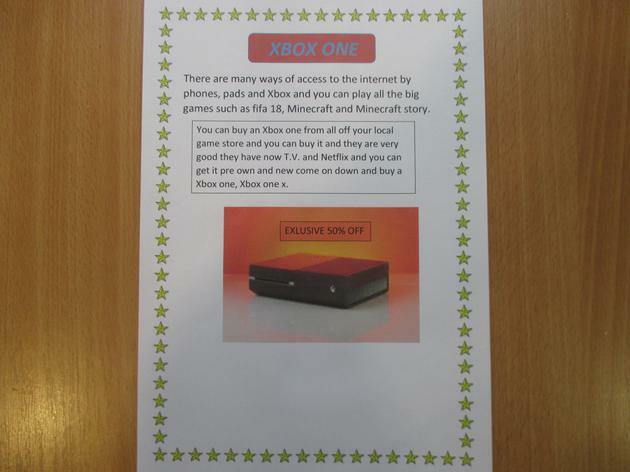 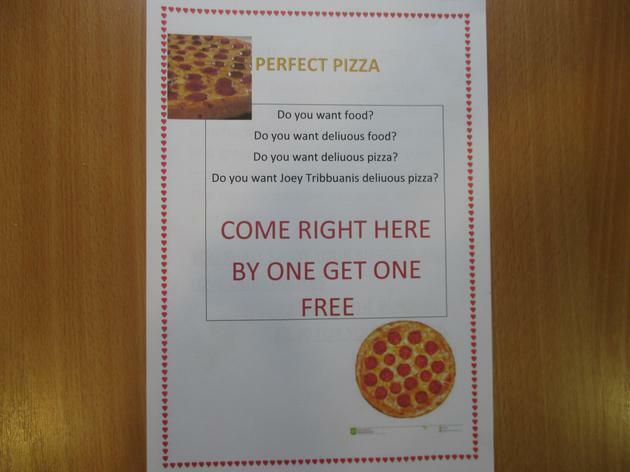 We had already been studying persuasive writing in English so first we looked at how persuasive techniques could be adapted to adverts. 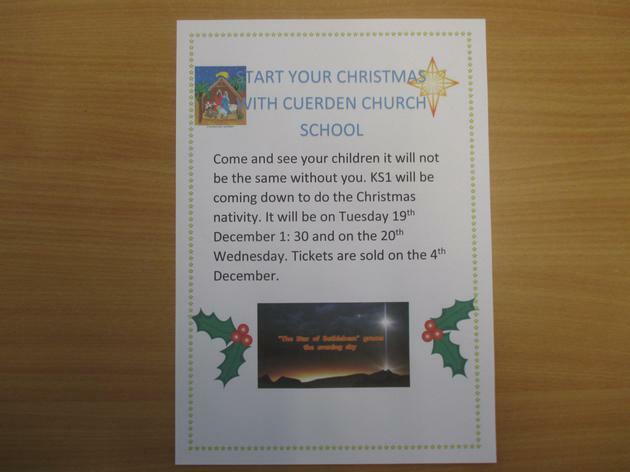 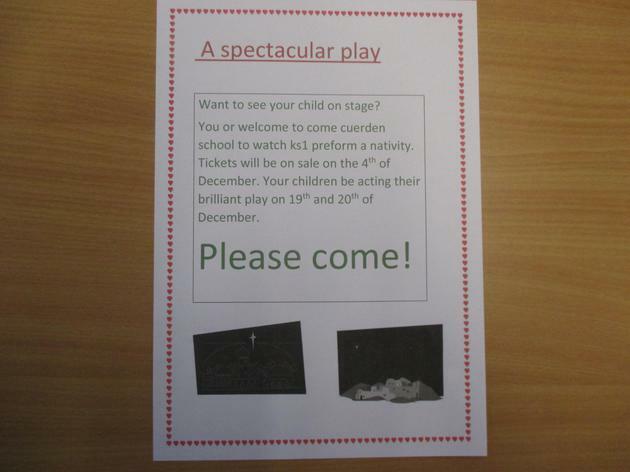 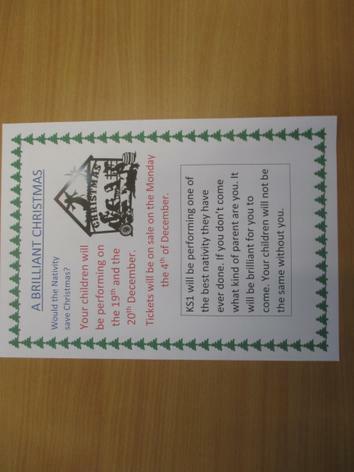 Next, we made a poster to advertise the Christmas Cracker concert all together and learned lots of ways to use IT to make our posters attractive and eye-catching. 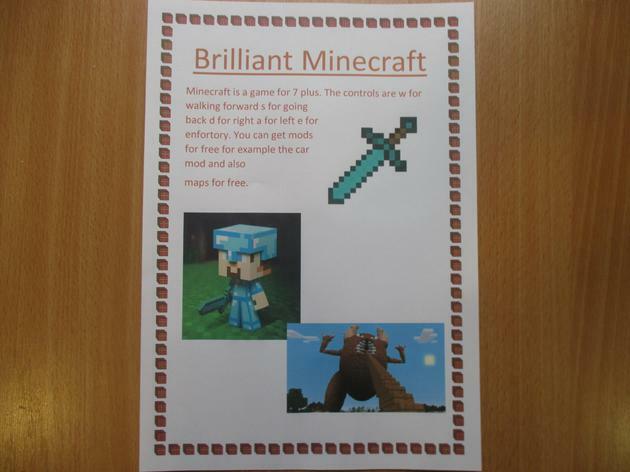 This joint effort was to go in the school newspaper. 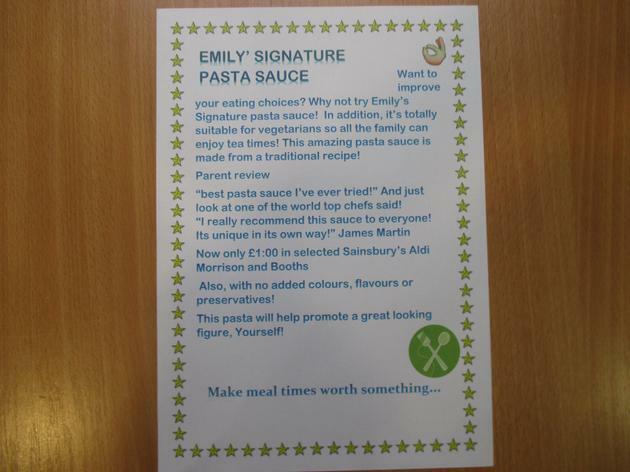 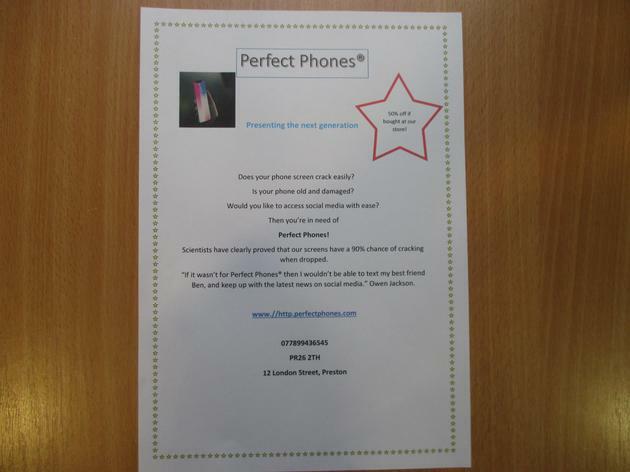 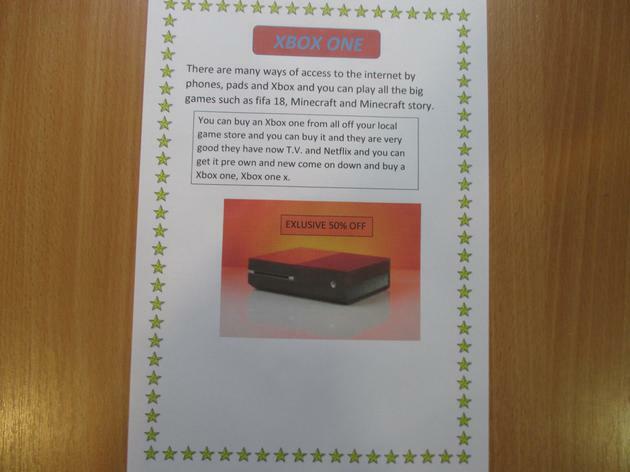 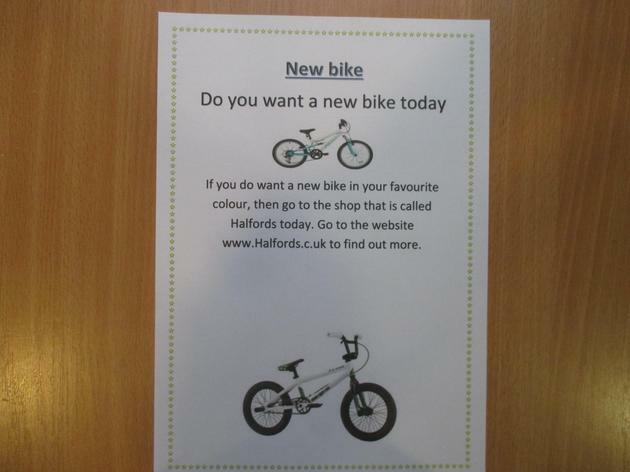 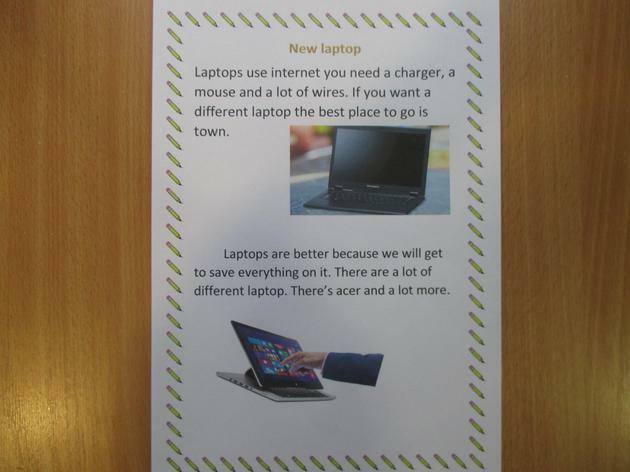 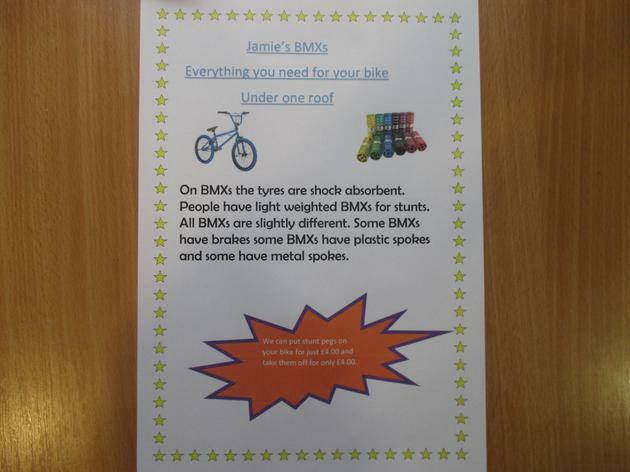 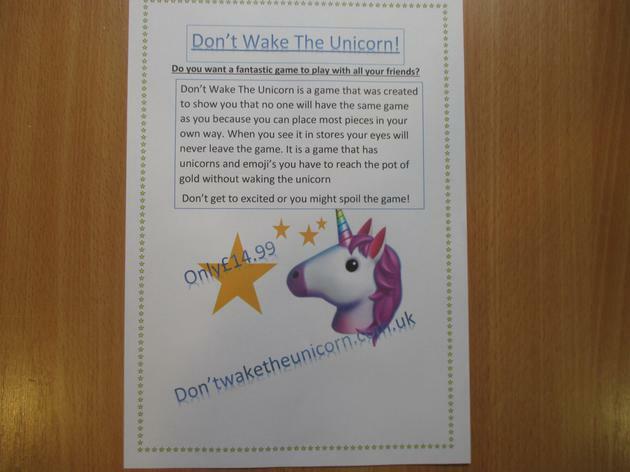 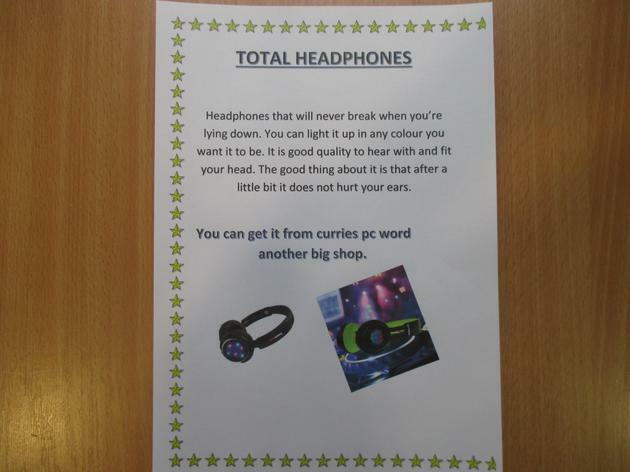 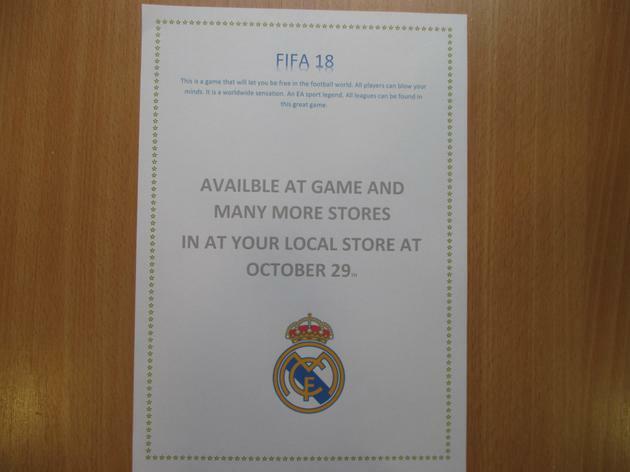 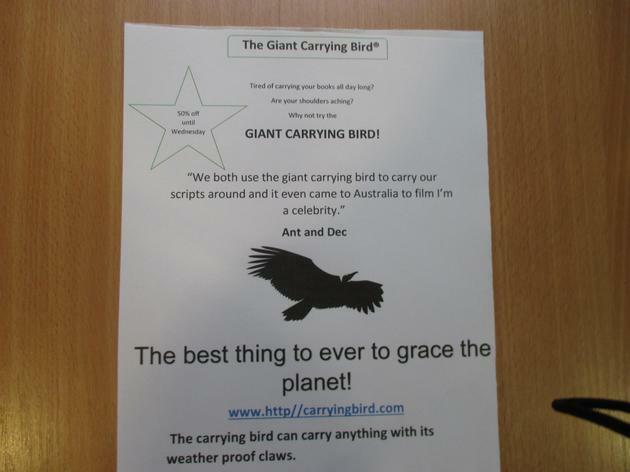 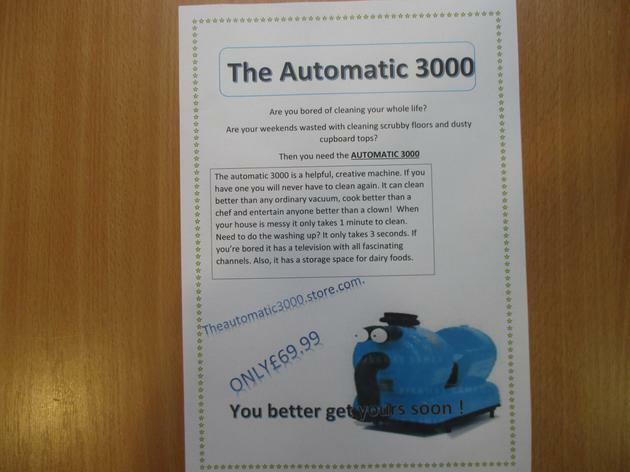 After that, we had a go at making our own adverts. 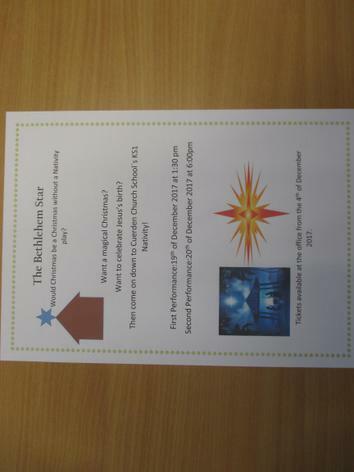 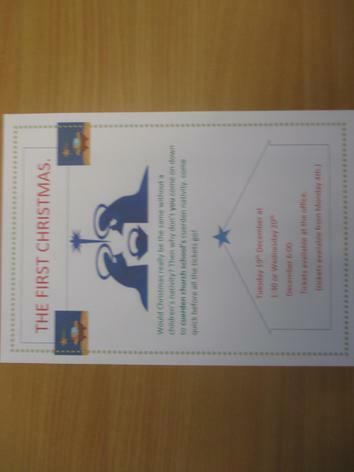 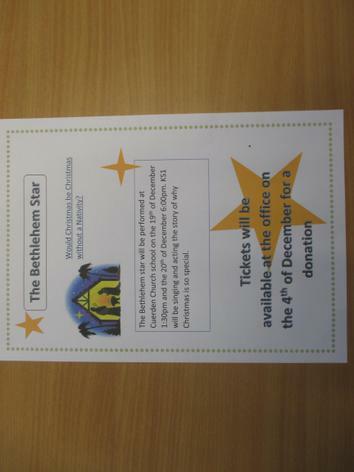 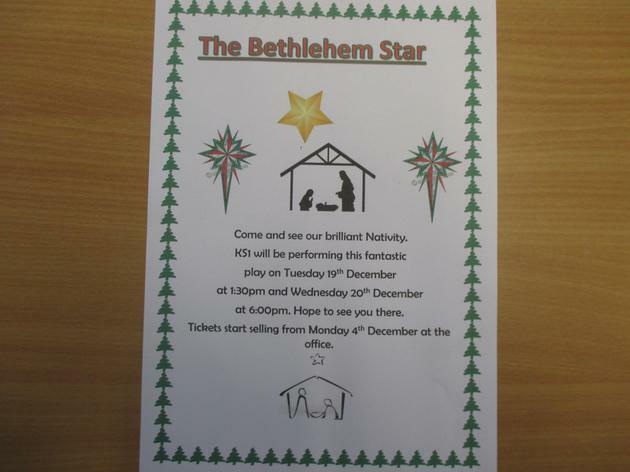 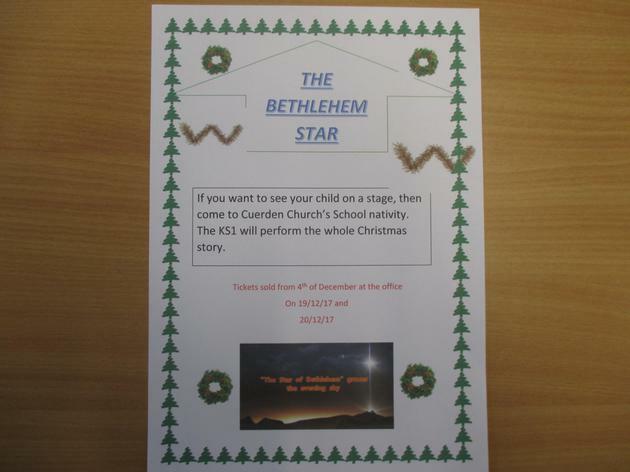 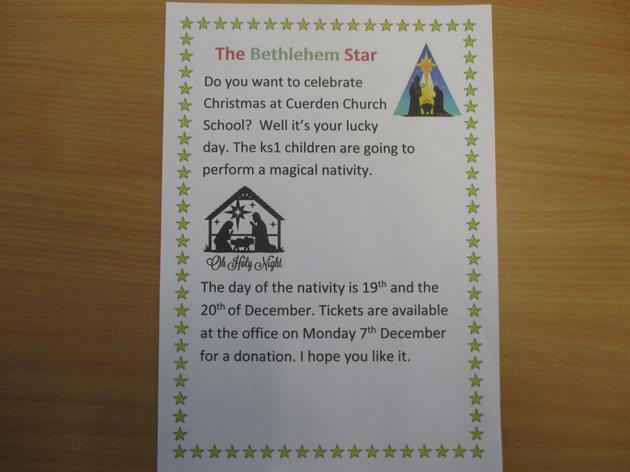 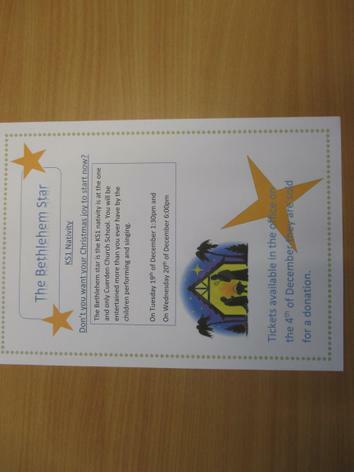 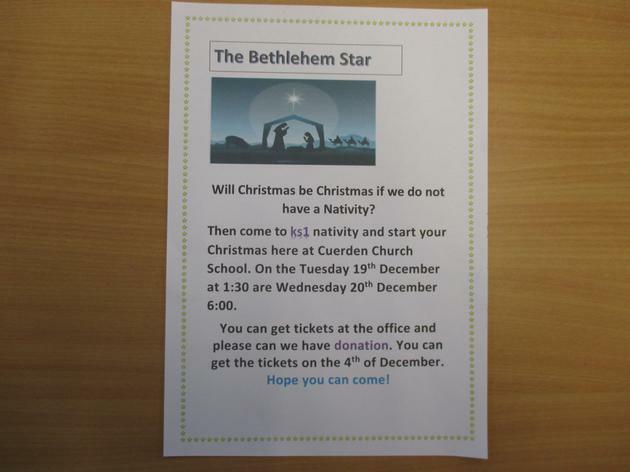 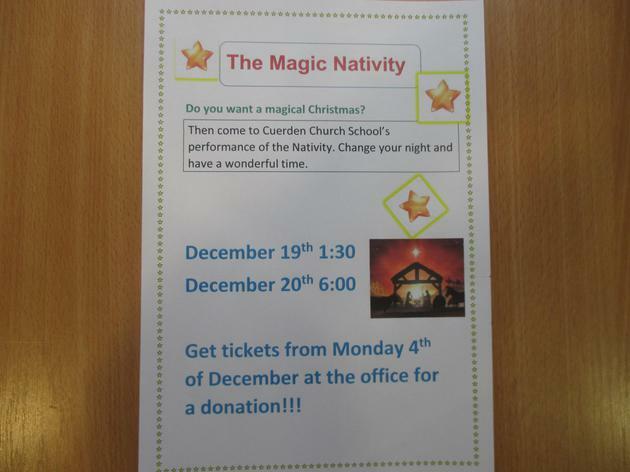 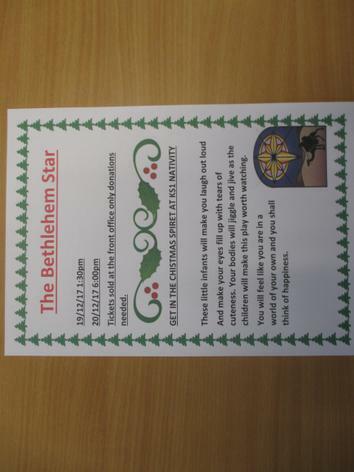 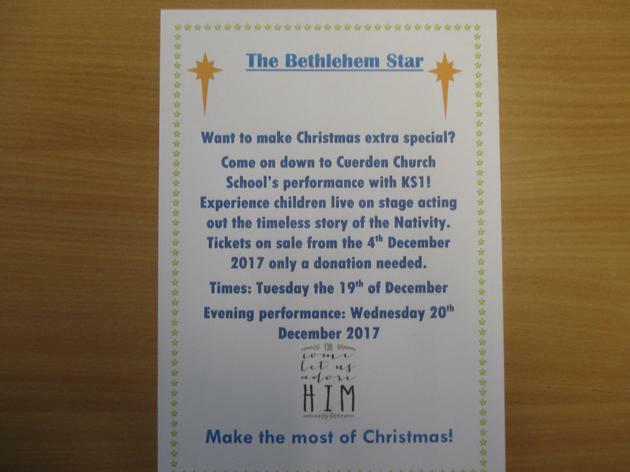 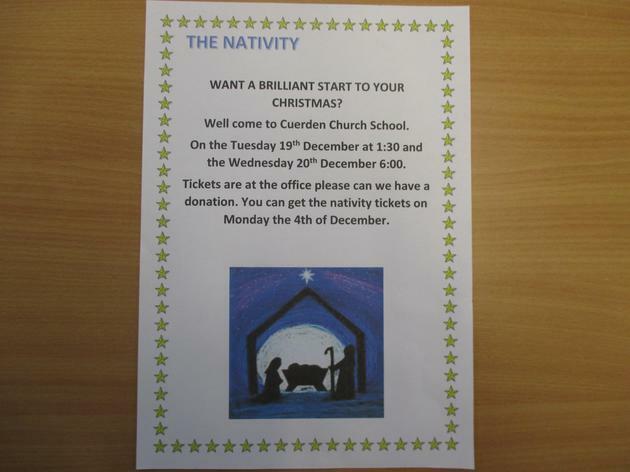 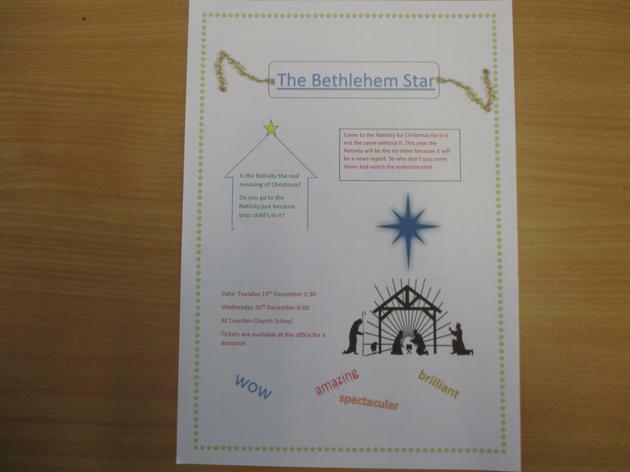 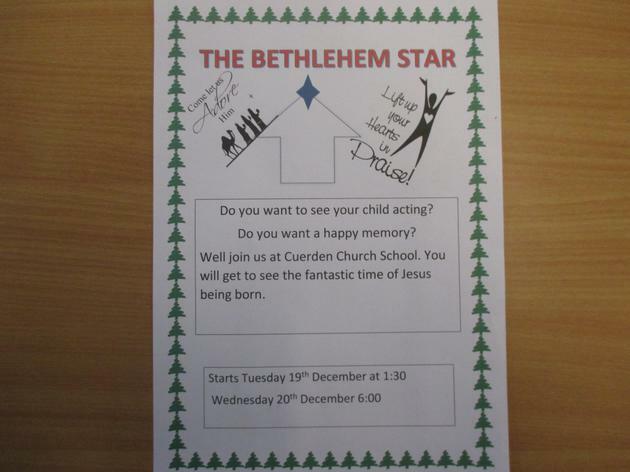 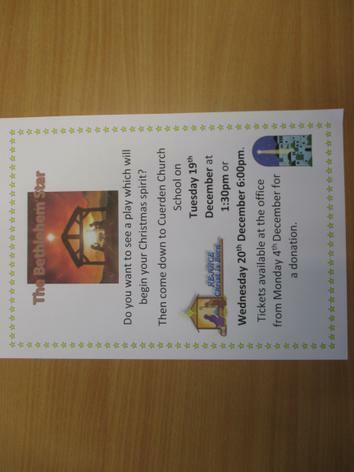 Once we had mastered the techniques, we all made a poster to advertise the infant nativity called The Bethlehem Star. 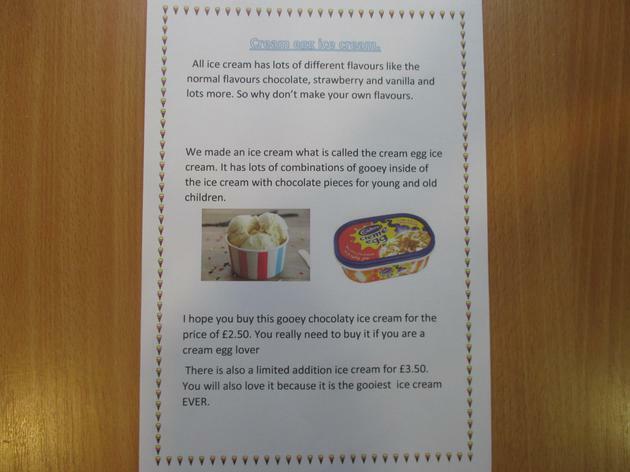 Mrs Taylor chose her favourite to put in the paper. 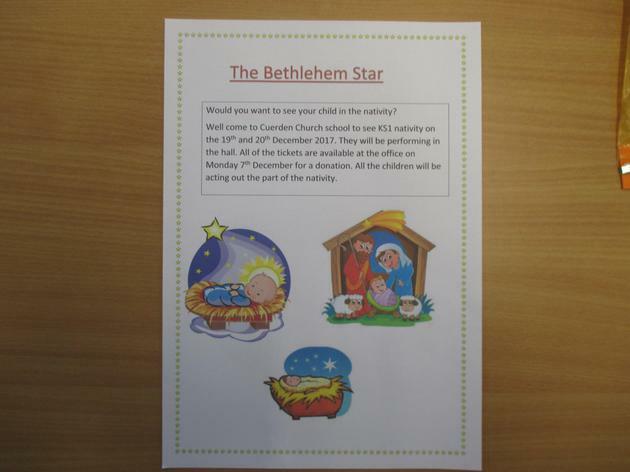 Charlie was picked. 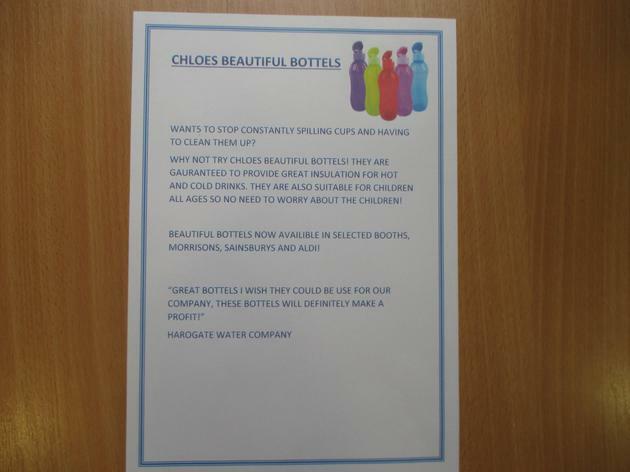 Well done, Charlie! 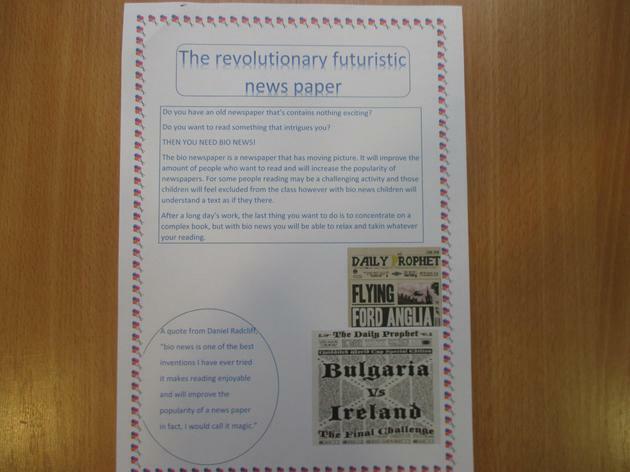 We also watched a video that showed us how newspapers are made today, largely using computers, and then another video that showed us how they did it before computers. 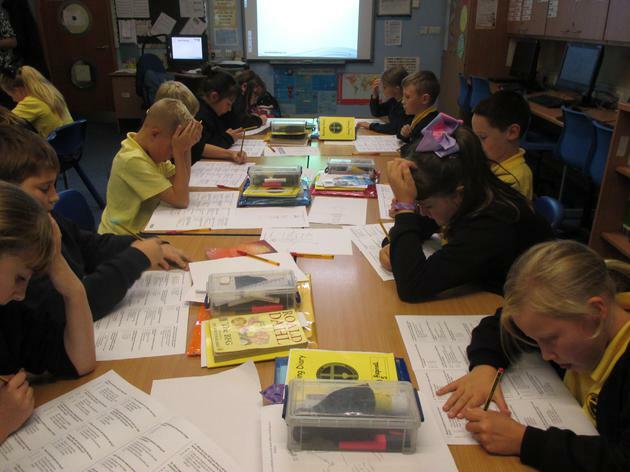 We discussed the differences, advantages and disadvantages. 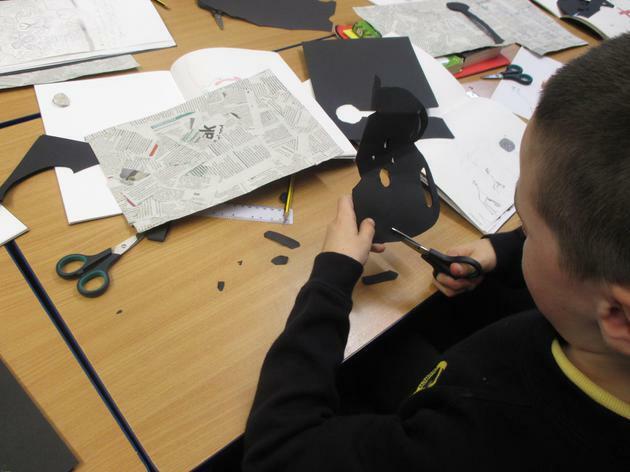 We made some silhouette pictures using newspaper too. 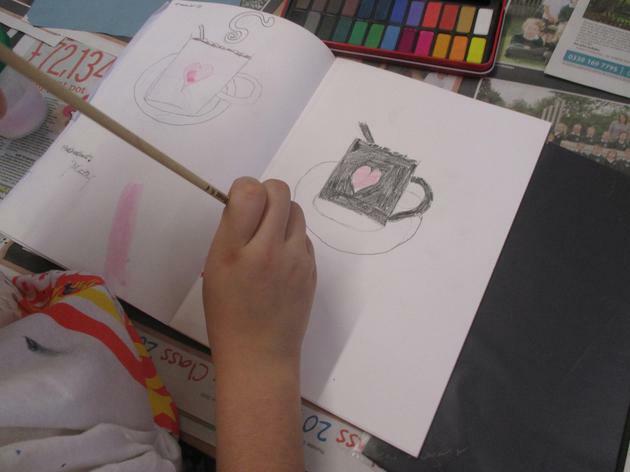 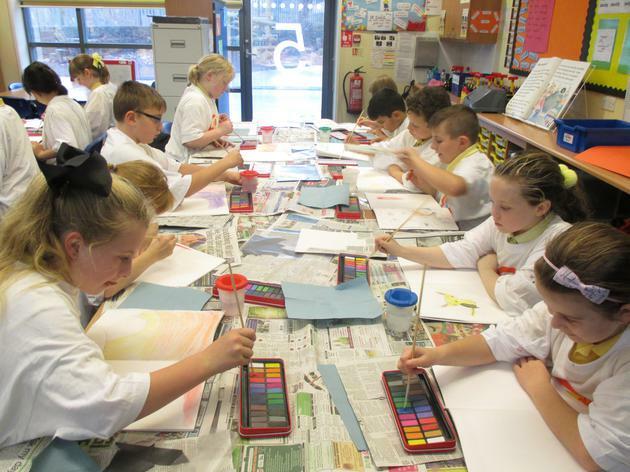 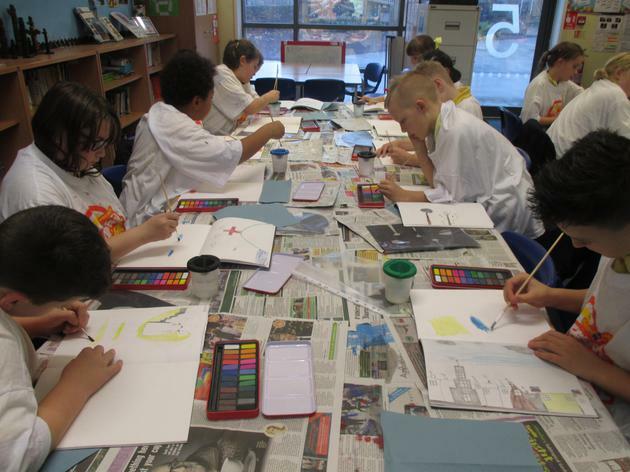 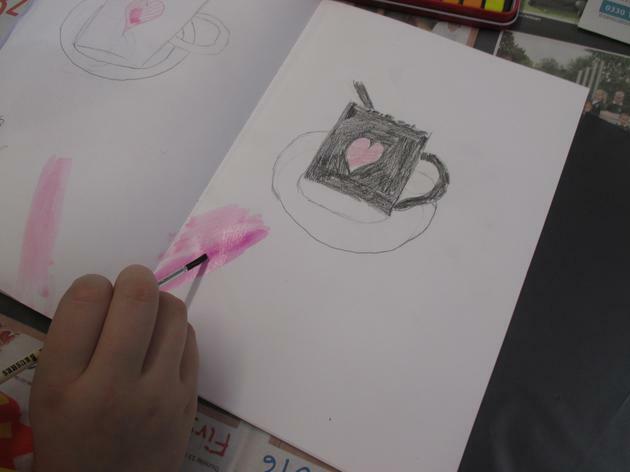 We used the water colour palettes that the Parents' Association bought for us last year. 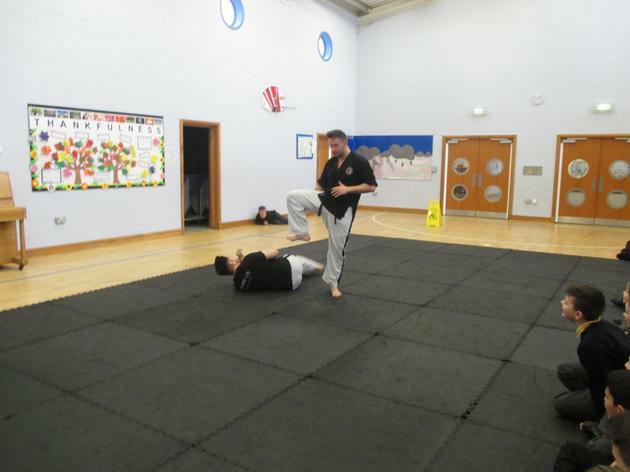 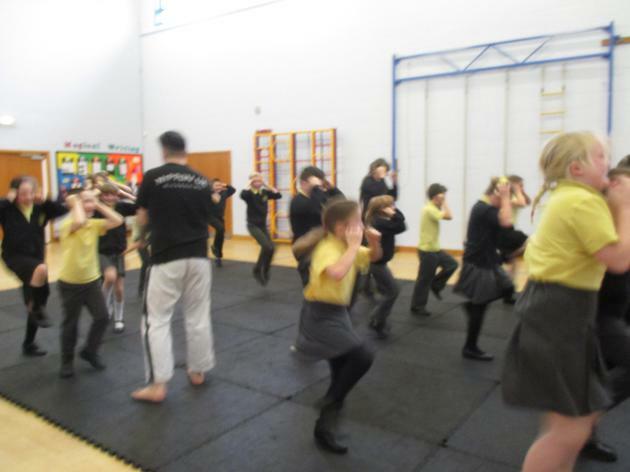 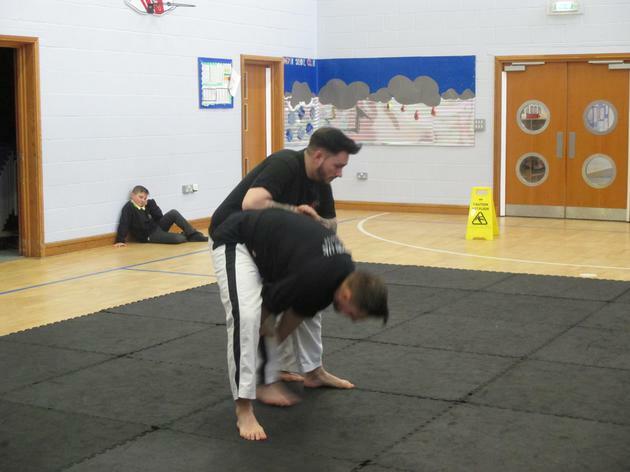 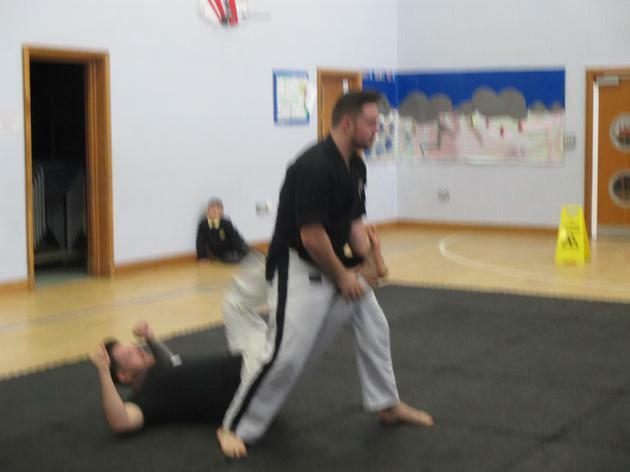 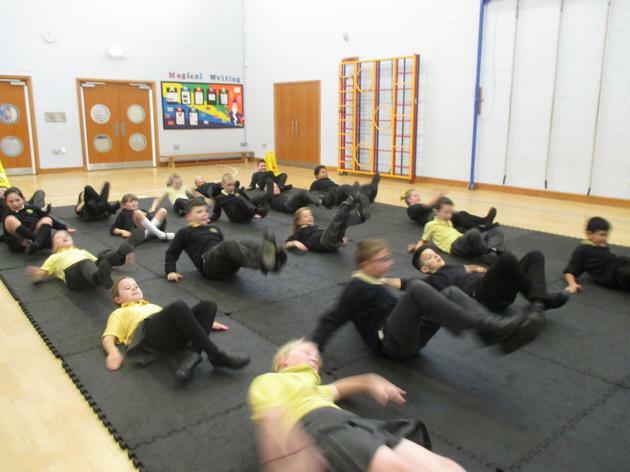 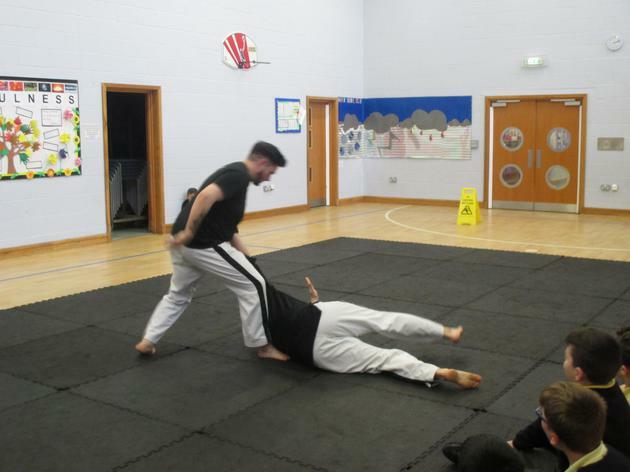 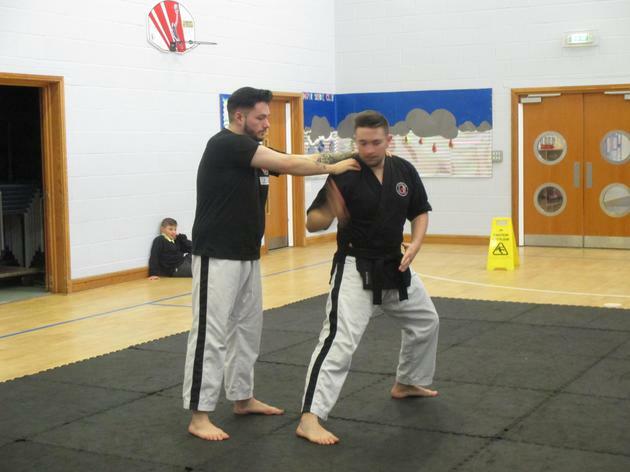 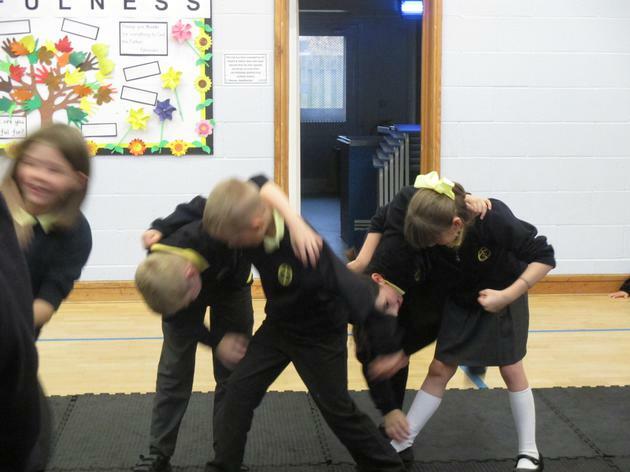 On Thursday 28th October, Year 5 had a Ju Jitsu lesson with Sensei Nick and Sensei Darren. 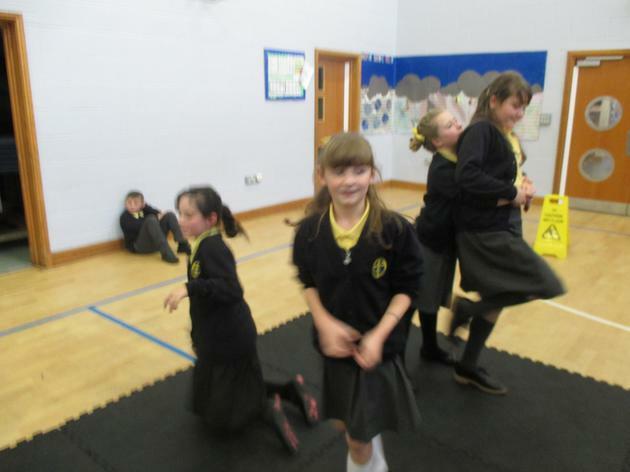 They were very funny and we laughed a lot as well as getting some exercise. 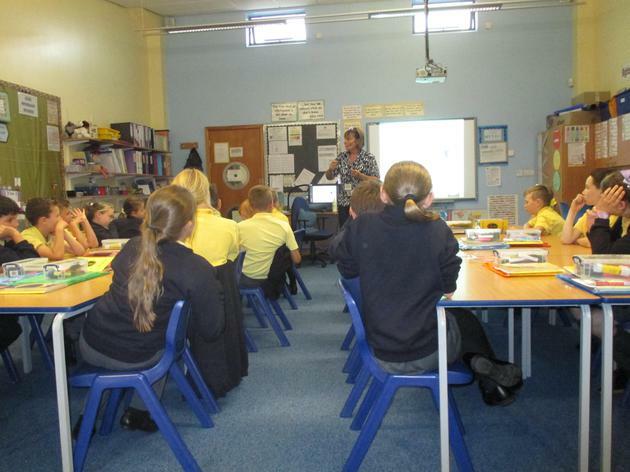 On Thursday 7th September, Mrs Tyson came to teach us about personal, food and kitchen hygiene ready for when we begin serving at the salad bar next week. 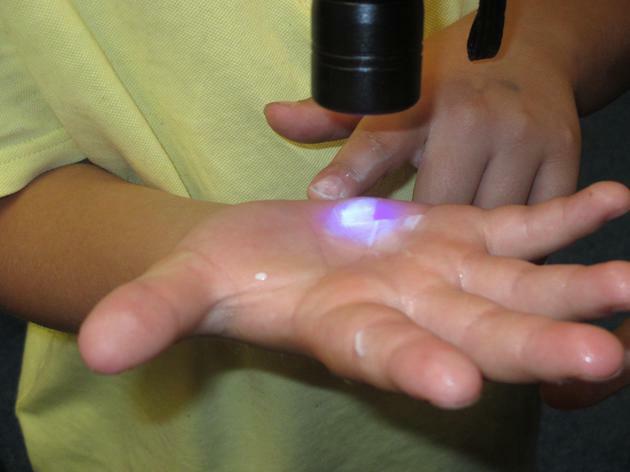 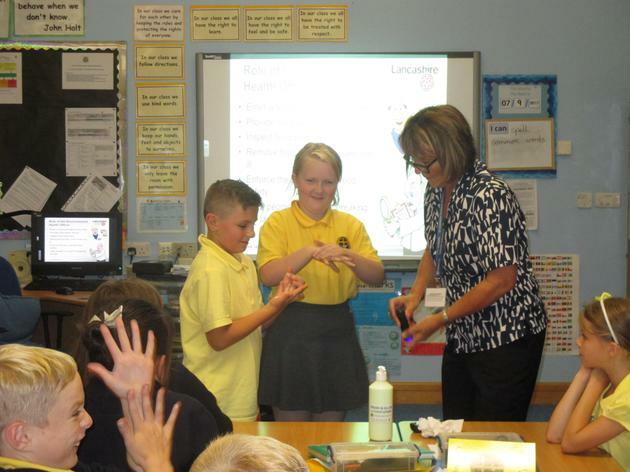 We learned about how to wash our hands properly and why this is so important. 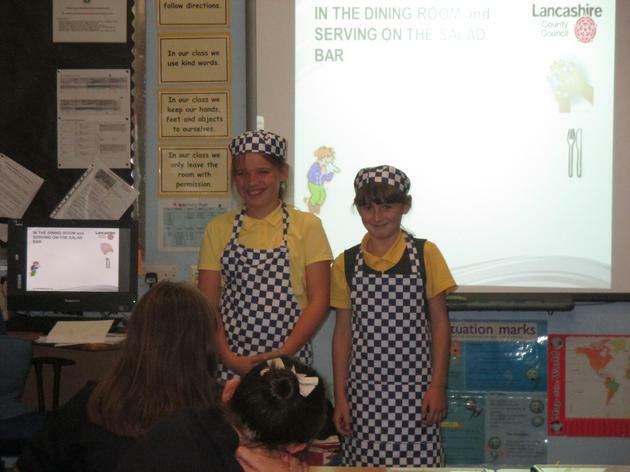 We designed our own kitchen-wear and talked about how to encourage the children to try different foods. 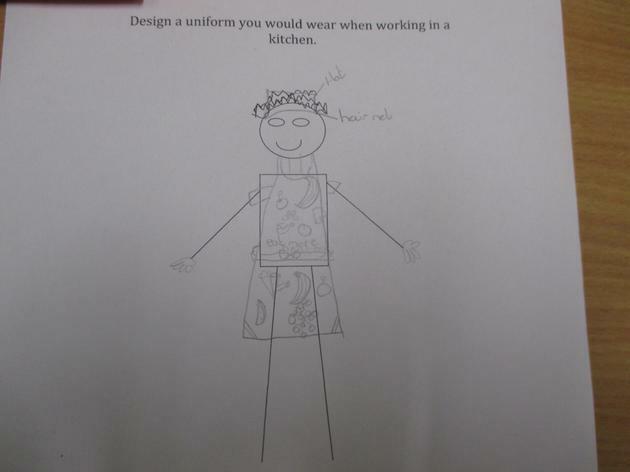 There were a lot of 'dos and dont's' to remember. 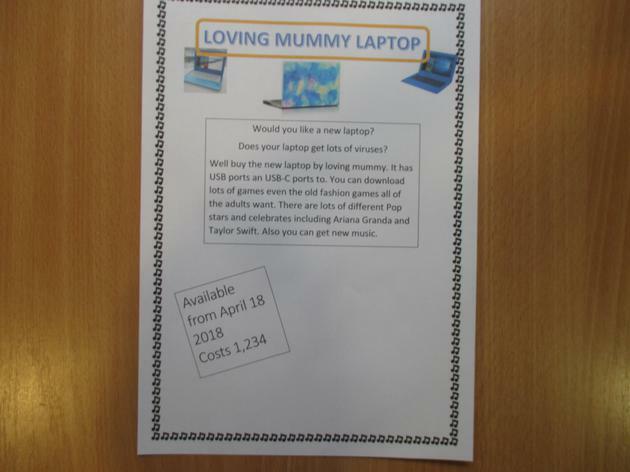 At the end, she gave us a test and everyone passed. 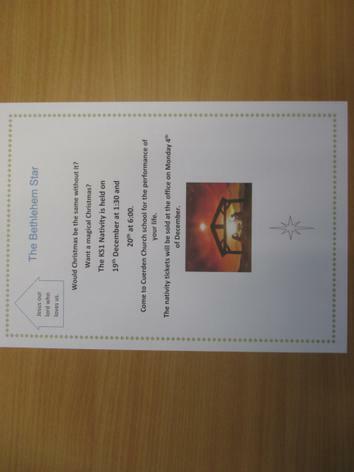 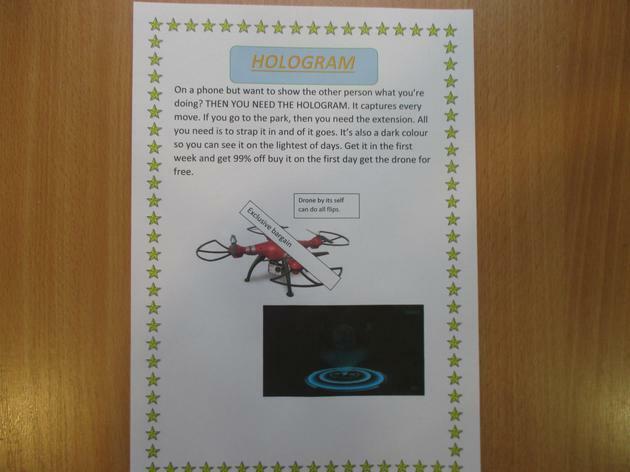 Our certificates will be presented on Friday in the Achievements Assembly.